Congratulations to the Western Bulldogs on a stellar 2016 season, capped off with the Club’s second VFL/AFL Premiership. With fearless leader Easton Wood at the helm, and telling seasons from the likes of Bontempelli, Daniel and Dahlhaus, all the pieces came together for Bulldogs fans on the first Saturday of October in front of a relentless MCG crowd. 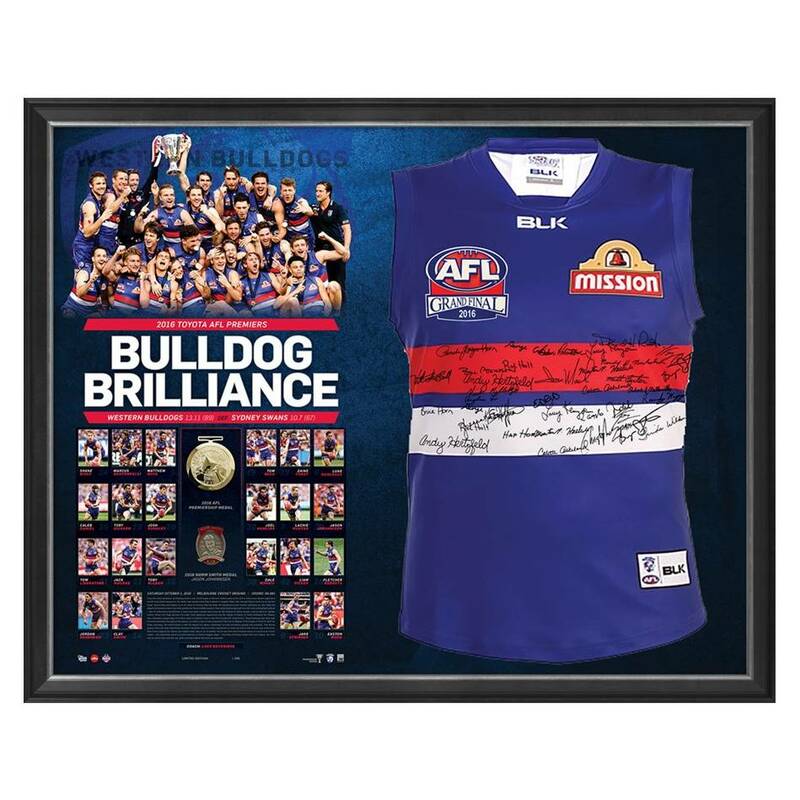 Personally signed by all 22 Western Bulldogs Premiership players and officially licensed and endorsed by the AFL and AFLPA, the 2016 Team Signed Premiers Guernsey is a must-have for all Bulldogs fans and astute collectors alike.